What do you get when you mix red hot sounds of today’s current hip hop, with the cool, blue swag of R&B…Purple Drizzle. VIP Loops Platinum Series is pleased to bring you the perfect product for hip hop and r&b collaborations. Purple Drizzle contains 10 inspiring multi-track construction loop sets ready to help you construct your next hit. This product represents the styles of Drake, Jamie Foxx, Trey Songz and other Hitmakerz. Mix and match the loops to create tons of new music ideas. 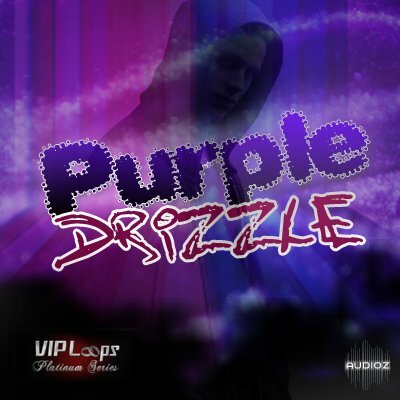 Purple Drizzle is a VIP Loops Platinum Series product exclusively from Digg Audio. The production team’s credits include Flo Rida, Tu Pac, Jason Derulo, Jodeci, Mariah Carey, Chris Brown, NFL, BET, HBO, and are responsible for millions of records sold worldwide! All parts in this product are separated, edited and come formatted in WAV(Acidized) and Apple Loops format. Download that purple when you looking to create that hip hop/rnb collabo.